Established in 1994 as a one-man operation, we have meanwhile grown to over 80 employees with annual sales of € 9 millions. We work in the automotive, solar, and rubber industry business sectors, as well as in wood technology and technical laminates. 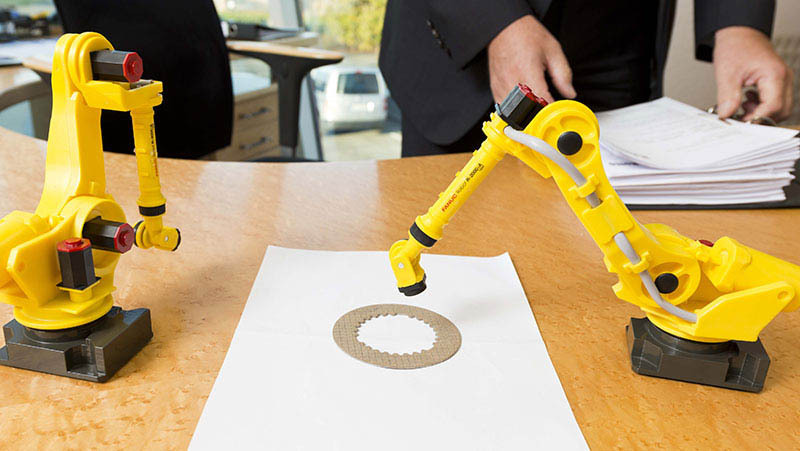 Our great strength consists of fully-automated production systems and developments in the field of robotics. Modernization and innovation characterize our corporate philosophy. It goes without saying that annual research projects with eminent players such as the Fraunhofer-Institut and Siemens also play an important part. We bring to fruition innovative solutions for our customers. “Sonder-Anlagenbauer”, our company name is a manifesto as a special systems manufacturer for high-quality service and close customer proximity. We provide advice and build the precise systems that our customers need. Our corporate high-level planning and vertical range of manufacture guarantee smart solutions, great flexibility, fast implementation and adherence to schedules. Our highly qualified and competent technical staff is our guarantee of this claim. From the day of formation onward, the Rotte family has organized and built the company with the aspiration that family and career can be ideally reconciled with one another. This aspiration is also reflected still today in the opportunities and the family-friendly appreciation of the employees. Since 1994, the company has been run by Ulrich Rotte as General Manager and his wife Brigitta as Commercial Manager. Since 2007, Dr. Franz-Barthold Gockel has reinforced the leadership team as General Manager. Benedikt Rotte came on board as the second generation within the company, serving as Production Manager for the first three years and as Assistant to Management since 2017. This management team complements one another through its competencies. Ulrich Rotte, who contributes mechanical engineering experience, Brigitta Rotte, the Controller, Dr. Gockel, the technical scientist, and Benedikt Rotte as industrial engineer with his know-how of profitability. We are rooted in the region and open to local engagements and local projects. We promote youth sports, children’s soccer, club sports, the fitness trail, the youth shooters and the Salzkotten Marathon. An example project is the construction of the “Menschenkickerspielfeld”, a soccer field for all generations, in cooperation with the “Jungschützen” (young marksmen).